I’ve been looking forward to experiencing BPM in Portugal since it kicked off last year, but unfortunately I wasn’t able to go to the launch last year, but glad to say I got the opportunity to hit up BPM Portugal 2018. Having been to BPM Mexico three times over the years I was extremely excited to see what the team pull off in Portugal, and I’ve only heard good things from my friends who attended last year for the launch! Now comparing a festival run in Playa Del Carmen, Mexico to one run in Portimão, Portugal might not be the fairest thing… but I was expecting great things from this year at BPM Portugal. And glad to say I really wasn’t let down! There was the usual fantastic parties with amazing DJ’s in spectacular venues, mainly on the beach. So, yes, BPM was ticking all the right boxes. 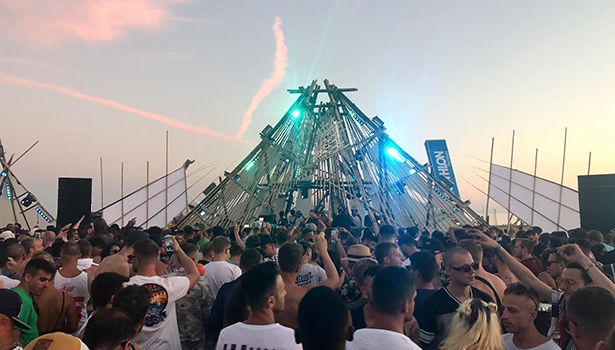 NoSoloÁgua was a great venue right on the beach by the sea front, offering a great space for day parties, and I thought both Space Productions and All Day I Dream really well suited to the venue, and had a fantastic crowd enjoying the music. NoSoloÁgua definitely had that perfect daytime vibe, with sun-beds on the beach, multiple bars dotted down the venue, a terrace service food, and decent toilets that were fully functioning (this is mentions because of a later venue I visited!). The staff here were amazingly friendly and all were getting into the party spirit, which really helps everyone get on and enjoy themselves. The place never felt overly crowded as well, which was great as it felt like one of the smaller venues on offer. Blanco Beach was the other day party venue on offer, and also had equally great events going on. Here I experienced Ya’ah Muul & This is the End. This is a much bigger place, and got much busier, especially drawing to the last few hours of the party, so had a different vibe NoSoloÁgua, and more of a full on party feeling (which is no bad thing!). Blanco Beach was on the beach, but further down the beach and also with no access to the sea, but they make up for this with a swimming pool which people were making the most of which the sun was beating down. Also by the pool there are hot tubs next to the beds. I’m told last year these were reserved for bottle service which is a nice touch, but this year these were a free for all (no one was in the hot tubs as there looks filthy!!) Nice for all the space to be amiable to everyone, but the hot tubs looks nasty! Talking of nasty there has serious issues on the lavatory front… And I mean bad! The amount of toilets for the amount of people there is really not enough, and I hope next year BPM think about this and built temporary facilities (like they do with bars!!) To make matters totally worse the urinals in the gents got blocked up, so caused massive queues. To make that even worse some people decided to keep using them causing overflow, then leakage, then the most good awful smell! So I know BMP couldn’t have foreseen the broken toilets issue, but already they could have been looking at building something better for events with so many people there. Hang on, I’m sure I was there for the music not the toilets…! Amazing venue, amazing music… What’s not to like! So which venue was best for the day parties? Well my group of friends were a 50/50 split over this, so shows the BPM are keeping everyone happy. On to the night parties… And I’ve not got a huge amount to say because I didn’t go to any. Not because of any reason other than I had so much fun at the day events (which finish at midnight), and I’m getting on a bit now so enjoy the day time fun and frolics a bit more! Although I am happy to say my fellow party goers all had a bit more stamina than me and ventured out each night. Centro de Congressos (being a conference center) wasn’t wining any awards for style. But did have an amazing sound system and great DJ’s keeping my friends happy and dancing. Katedral and Villa Mariaziha both had good events and good reviews from my friends who had more energy than me. Again people all preferred different venues, which I think is great as again showing there really is something for everyone here. 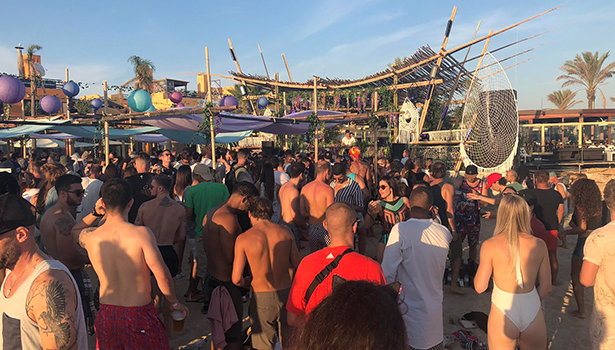 BPM have managed to keep the well-loved vibe from BPM Mexico alive and dancing in Portugal, which is amazing and no small feat. September in Portugal makes sure the weather is amazing and a bit more predictable then Mexico’s past January dates, and this year in Portugal did not let us down with amazing blue skies and sunshine every day. This is a festival I’m putting straight on my 2019 list because I can’t wait to go back. Martin is a Techno and Tech House DJ from London, UK, who has been creating and playing Tech House and running parties across the South East since 2009. Martin has loved dance music for as long as he can remember, and has grown through different styles and genres. His passion now is Techno and Tech House music, but before this he was playing electro house and nu disco, and way back before this, back in the good old days of vinyl, it was all about trance and hard house. Electronic music events and festivals are his passion, and this is where you’ll find him.